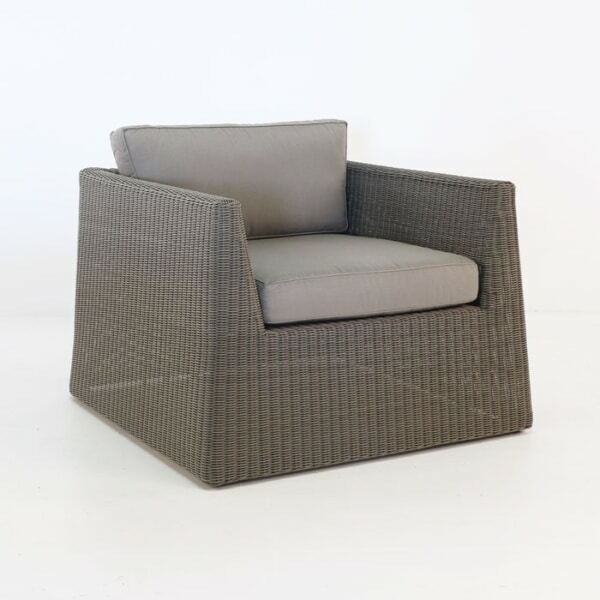 The Giorgio outdoor wicker club chair is elegantly modern and inviting. 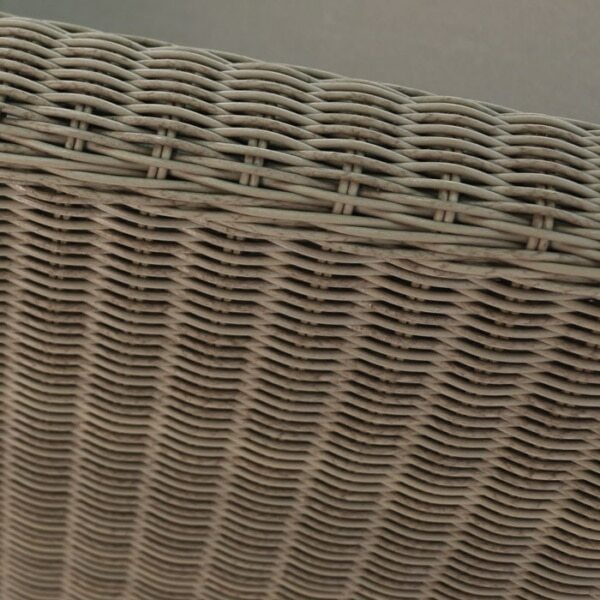 The combination of wicker and design is pleasing to many different styles. The subtle curves of the structure and the warm tones of the wicker add a soft touch to a modern and masculine chair, which makes it perfect for different tastes. W40" x D40" x H28"
This outdoor wicker club chair is made with impeccable Viro® outdoor wicker and is wrapped precisely around a powder-coated aluminum frame. 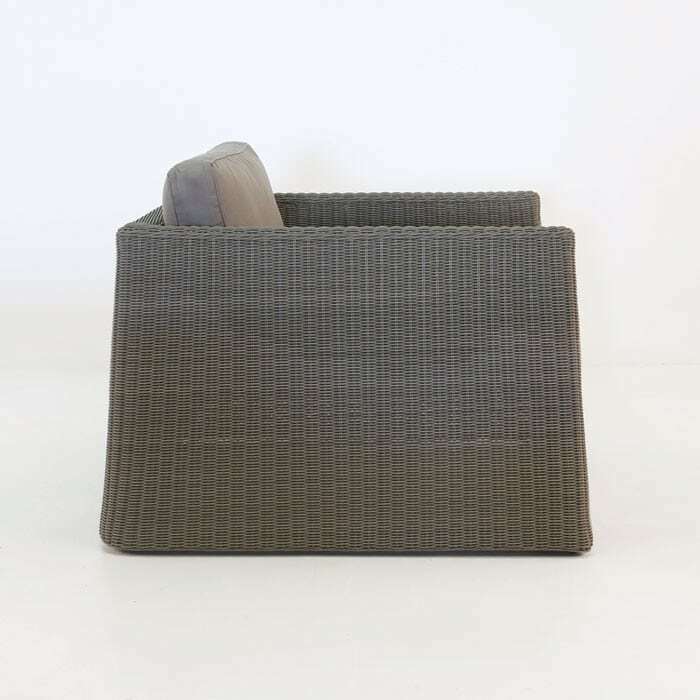 We top that with Sunbrella® cushions and now you have comfort and long lasting durability. 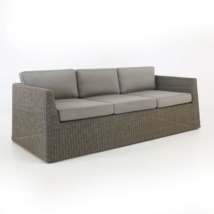 The Giorgio collection also includes a sofa or loveseat. 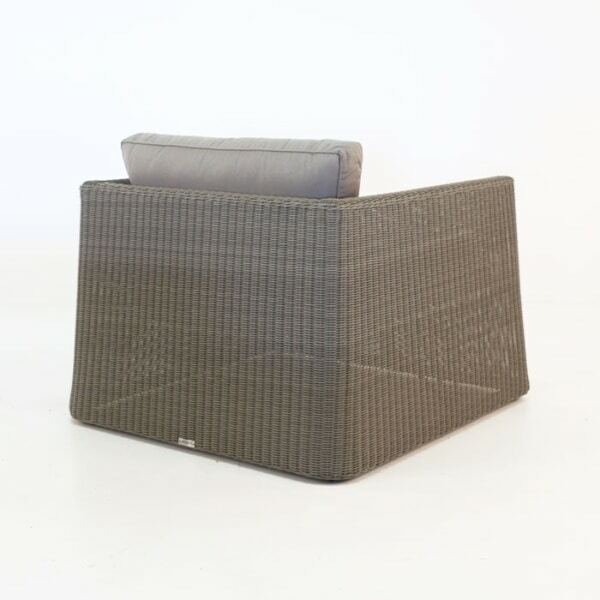 Each is sold separately so that you can rearrange the collection for what your outdoor space allows. 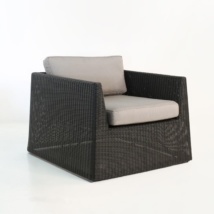 We also have the Giorgio range available in a black wicker for a more modern and dramatic feel. Call us today or visit one of our 3 showrooms in southern California. If you are not local, that is ok! We ship nationwide with white glove service.